PHUNG THUONG, Vietnam 2018 -- ­Inside a row of rusting cages, 15 adult moon bears are imprisoned in varying degrees of apathy and distress. Some lie on their backs in the tiny enclosures, unable even to stretch out; others loll their heads or chew listlessly at the bars of the cage in tortured, repetitive motions. Every few days, the bears are sedated, a needle is inserted into their gall bladders and bile is extracted to be sold as a cure for ailments as diverse as hemorrhoids and hangovers. More than 20,000 bears are kept, most in appalling conditions, across eastern Asia to satisfy an age-old obsession with the medicinal and magical powers of products culled from exotic animals. Yet there is a ray of hope for some of these bears, as public awareness of animal cruelty and welfare gradually rises across Asia. " "Last year (2017), Vietnam’s government promised to close down all of its bear farms by 2022, after a pledge by the country’s traditional Chinese medicine community to stop prescribing bear bile products by 2020. Since 1995 Free the Bears Fund has provided support to a wide range of projects across the globe; from the rehabilitation of orphaned bear cubs in the Russian Far East to surveying wild Spectacled bears in Ecuador. As Free the Bears has grown we have focused more intensely on the Sun bears and Asiatic black bears of South-east Asia and the Sloth bears of India. By creating partnerships that are tailored to each individual country and situation we have been able to support a wide range of projects in our six priority countries; Cambodia, India, Indonesia, Laos, Thailand and Vietnam. Despite these countries being geographically close to one another, the threats to bears vary widely and as such our responses encompass a wide range of strategies including environmental awareness, sustainable livelihoods, increased enforcement and research and protection of wild bear populations. The Bear Paw Soup is considered a delicacy in Cambodia. Some bears are taken because the meat is tender. 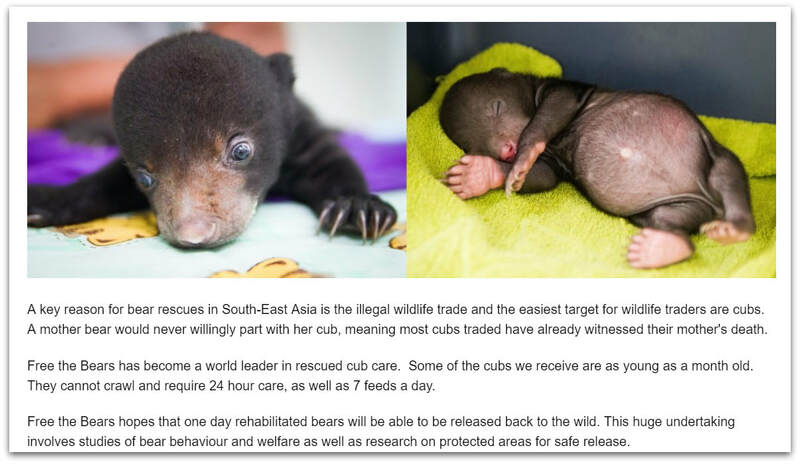 The cub again is taken from the wild, the mother most likely killed. The cubs are put in a cage. This is not a dish specific to Cambodian either. The Koreans, the Japanese, the Chinese, the Taiwanese all go and order their bowls of Bear Paw Soup. The paw is cut off and the stump is sealed in hot coals and on oil to stop the bleeding. That paw is served as a delicacy. It’s called “Braised Bear Paw Soup” served with onions and garlic and it can fetch around US$200-$300 dollars per serve.This has been stopped to a huge extent by a big advertising awareness campaign that we worked with the group “Wild Aid” who are up there as well. 70% of this has now been stopped. There was one restaurant that didn’t comply. He was closed down by the Mayor and threatened with if he serves anything like this again, including any exotic pieces such as tigers, he would not be allowed to reopen. Due to this initiate it’s not very often now that you see a bowl of bear paw soup around on a menu. If that one bear still survives having it’s paw cut off slowly each paw is taken by other people. Not so much now, because the trade is dying out, but that poor bear will go on until all four paws have gone. The bear then immersed in a boiling hot vat of water because people like to see the bear and ensure the meat is fresh before eating him. We have made such a fuss about the Cambodian Paw Soup issue however we also know that bears are farmed in Vietnam and are trapped in other sorts of ways. I can tell you it is very distressing. Bear paws - What are humans thinking??? Posing as buyers and suppliers in the illegal wildlife trade, eco warriors have taken hidden cameras where some of the most heinous crimes against nature are taking place: on bear bile farms in China. Other Earth saviors have packed unhidden cameras when they've gone on rescue missions to record the conditions of the bears they save and the ones they have to tragically leave behind. I urge each of you reading this to help in the campaign to end this abuse by passing along this link and other information from organizations dedicated to saving bears. Also sign petitions, write letters, and reach out in your own creative way. The thought of cutting off the paw of a bear for 'bear paw soup' leaves me so disillusioned by the humans on both ends of the supply/demand chain. Who would cage these beautiful animals for a lifetime to take bile from them while the animals suffer unimaginably? Do your part to shine a light on these egregious acts of inhumanity. Bear Bile - Click to go to Animalsasia.org -- Great organization helping bears. 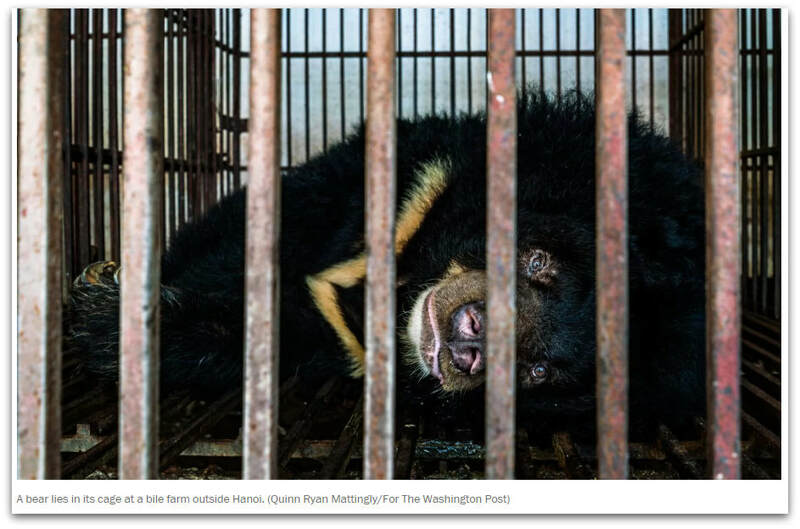 ​The reality of bear farming is that an estimated 14,000 bears (this was posted in 2011 and in 2018, the Washington Post states the number has risen to 20,000) are being kept in tiny cages across Asia, starved and dehydrated, and milked for their bile. The bile removed from farmed bears is thick and infected, containing blood, pus, urine and faeces and is collected in unsterilised basins. Many of these endangered species are captured illegally from the wild. Some are drugged, restrained and have their abdomens jabbed with unsterilised four inch needles until their gall bladders are punctured to release the bile. Others are milked through open infected abdominal wounds, or catheters made from latex or rusty metal. They are pumped full of antibiotics and other drugs just to keep them alive. Most of them develop massive infections, multiple diseases and malignant tumours that ultimately kill them. They are often kept in tiny cages for up to 30 years – the space is so small that they can’t even turn around." I maintain this entire website by myself and I bit off more than I could chew. I'm going to post all my new material on JASPER'S BLOG instead of spreading it out over this blog and other pages throughout the website. 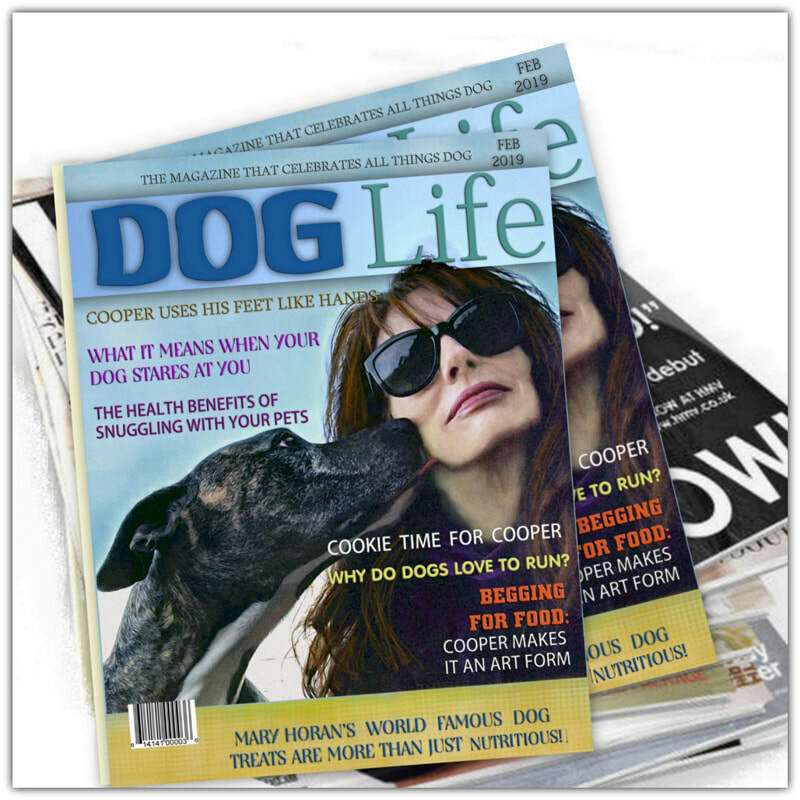 I need to streamline for better use of my time and make it easier for the reader to find animal related topics by having one blog -- Jasper's Blog. Click here to go to the latest blog. offered through the Animal Legal Defense Fund. WSPA (World Society for the Protection of Animals) is working with the Traditional Asian Medicine (TAM) community to end the use of bear bile by promoting effective herbal and synthetic alternatives. The bile tradeBears are the only mammals to produce large amounts of ursodeoxycholic acid (UDCA), the active ingredient in bear bile. Bear farms emerged in the 1980's as a cost effective way to meet the demand for UDCA, which has been used to treat kidney problems and stomach and digestive disorders. More recently bear bile has been added to non-medicinal products such as wine and shampoo. Since the 1980's, the number of bears farmed in Asia has increased. Official figures from the region show around 12,000 bears are held in farms. The conditions are enclosed, barren and lead to physical and mental illness. "If people realised what is happening, they would be ashamed to be part of the crisis. We don’t want to spend our time catching criminals, we want to stop the crime from happening.” Samuel Wasser, of the University of Washington in Seattle who recently led the study of the of 23 tons of ivory seized over a 12 month period. Read more at International Anti Poaching Foundation. The IAPF Victoria Falls Ranger Training Facility was opened in March of 2010. This international academy on 5000 hectares currently allows up to 28 rangers to be trained at one time. Trainees are exposed to a vast diversity of wildlife and terrain, preparing them to deploy to any area and fulfill the daily challenges of protecting wildlife. During the course rangers are taught a number of subjects in the classroom before taking these various components and fulfilling the operational requirements of protecting the academy itself. The Academy was only made possible through the outstanding and unwavering support of the community and all the relevant authorities. It demonstrates what can be achieved when all concerned stakeholders are working together towards a common goal. 10 different subject matter experts make themselves available for instruction at the academy. This diversity in knowledge and teaching methods provides trainees with the best possible platform for achieving everything they can. Stories of animals from different species peacefully coexisting with one another warms the heart especially at a time when there is so much fighting and killing going on in the world. This made the email circuit, so it might not be new, but still worth viewing a second time! Debby Cantlon, who plans to release Finnegan, the young squirrel, back into the wild, bottle-fed the infant squirrel after it was brought to her house. When Debby took in the tiny creature and began caring for him, she found herself with an unlikely nurse's aide: her pregnant Papillon, Mademoiselle Giselle -- her dog. own bedside before she gave birth. 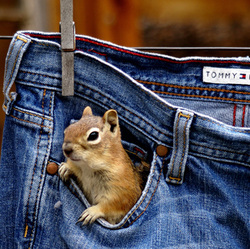 Debby was concerned, yet ultimately decided to allow the squirrel out and the inter-species bonding began. Finnegan rides a puppy mosh pit of sorts, burrowing in for warmth after feeding, eventually working his way beneath his new litter mates. Now, Finnegan mostly uses a bottle, but still snuggles with his 'siblings' in a mosh pit of puppies, rolling atop their bodies, and sinking in deeply for a nap. Finnegan and his new litter mates, five Papillon puppies, get along together as if they were meant to. Send this along to brighten someone's day!